I have decided that I am entering Neave, my 2yr old daughter in the Tour De France next year…. I am pretty sure she will be fine, I mean she is really good at home in the garden one her tricycle…. How hard can it be? Its a decision I have been pondering for some time, I have been planning and looking forward to this since the second my daughter came home… I mean, we had her because we wanted her to be a cyclist…. Its really important that she loves cycling, because I REALLY want her to. I am pretty sure she will be fine, she can go straight on her tricycle, and she can turn if she has enough space… well sometimes she can, sometimes she has to push it with her feet… But thats ok. She has a little while yet. How hard can it be? She is fine with people, so the crowds wont worry her… And she has travelled on a plane when she was young, so she should be fine with the flight over to France. I think we are all good!!! Before, you all start to google the number for the NSPCC…. you may have figured that I am jesting about Neave doing the tour de France next year…. It may be a few years before she does, maybe 3 or four 😉 but this is the scenario people impose on their dogs on a regular basis. In my past vocation, we had a saying…. ‘Failing to prepare is preparing to fail’, and this articulates beautifully the thought process that should be going through our mind, when we contemplate exposing our dog to a new experience. It doesnt matter whether we are discussing dogs sports of general domestic pet dogs, there is a multitude of experiences that we must ensure we prepare them for prior to venturing out into the ‘big wide world’ of competition or indeed life. When I use the metaphor of asking my 2yr old to jump from riding her tricycle around in our living room, to competing in the Tour De France, the epic failing on my part, can be sighted instantly. However, it is often not so when discussing dogs. Even getting your puppy to live in your home, can be filled with potential incidents and encounters that if not prepared for, can lead them to a road of trouble and danger. For my dogs, who live in a world where emphasis is placed on highlighting to them what I do what them to do, rather then correcting or chastising them for inevitable mistakes, preparation and anticipation is key. When I get my puppy home, or have a dog with me for training, I have dog proofed there environment and set up areas where the can live and be where they are safe. This allows me to reinforce behaviour that I want, and deter or prevent behaviour I dont want. This is a preparatory step to creating a dog that I can live with, and take anywhere. How about taking your puppy to the vet… this is itself is a huge ‘step’ for them to overcome. A strange person, handling them intrusively, and then potentially making them feel uncomfortable or even, in pain. Getting my puppy to accept me handling them intrusively, and also having other people do so, is a huge part of their upbringing. These are the ‘standard’ things I have to prepare for. And depending on the dog, and the temperament, this could be where the lions share of the work will need to be placed. For those of us that do, dog sports, we now have to add onto this list, the endless challenges that our dog will face within the sport. First, laying the foundations. Core skill and behaviours that will create the basis for which our dogs career will be built. Then skills that are required, plus proofing, generalising, chaining, reinforcement schedules…. just to name a few. We then have to transfer this information and learning to other environments, plus add the competition pressures and ‘furniture’, people, sounds and distractions. When you break it down, it’s HUGE what we expect of our dogs and therefore easy to underestimate the work it takes to achieve this. All to often, the extent of work and layers needed are overlooked and often there is a breakdown. When people approach me with issues, often its as simple as reviewing their preparation. Dogs don’t sent out to deliberately ‘mess about’ or be ‘naughty’ and I defy anyone to prove otherwise. What they do do, is repeat what has been reinforced, whether you intended this to happen or not. So the key is to reinforce behaviour you want. Simple, and use to articulate to your dog what and how you want them to be. 1. Prepare them in small pieces, not by ‘testing’ and gambling. Everyone can get lucky once, but at what expense. 2. Thorough preparation takes time, but ‘thinking, planning and then doing’ will save you this in droves. 3. Your dog should ideally not encounter anything they haven’t experienced in training or at home. That way you can teach them what you want, and reinforce behaviour rather then pick up the pieces of a mistake or error. 4. Classical conditioning wins every time. If your dog isn’t happy or comfortable in the environment, no amount of clicking sits will make any impact. Ensure they are confident, always! 5. Get your skill, behaviour or chain in 5 locations, with 5 ‘challenges’ as a means of preparation. So your dog do a sit in 5 different locations, under any one of 5 challenges in the form or environmental, noise, equipment, distraction or ring prep. This will give you a pretty clear indication of your dogs readiness. 6. Look at it from the dogs perspective. What do they see, hear and feel. This will give you an idea of what you need to do to prepare them for the question you are asking. 7. Your foundations create the basis on which everything else is built. The issue may be nothing to do with the exercise or behaviour itself, but a crack in the foundation. Review them constantly. Even experienced dogs need foundation skills brushed up now and again. 8. Attention is everything. 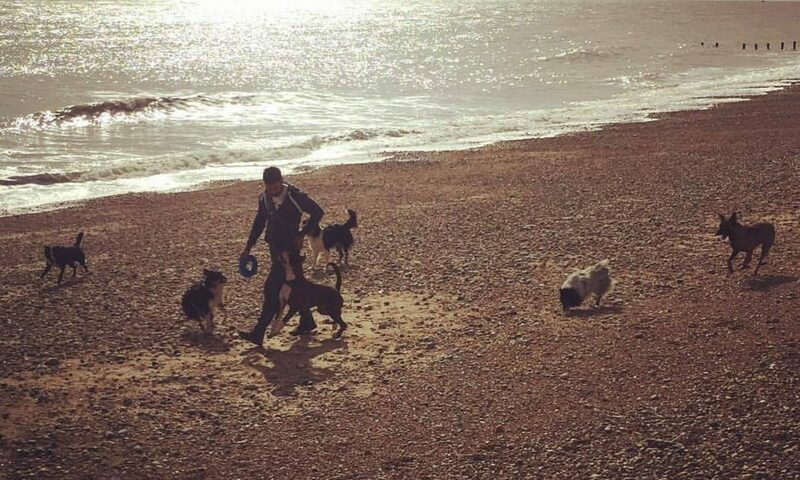 It may not be literally looking at you, but being able to have focus in any environment irrespective of the distraction, is of paramount importance in every dog sport. Don’t underestimate its value and don’t overestimate the need to reinforce it. 9. There are two members of your team, the dog is one… do you part. Don’t let your dog down by failing to prepare yourself, physically, mentally, emotionally. 10. Its not about the destination, its about the journey. Preparation is the journey. Wow, just wow! Very effectively written! This just says it all in a clear and concise way. Awesome article and so very right on! Straight and to the point! Superb! Next PostNext Peppa Pig in surround sound!